A DKT Indonesia midwife counsels a client in her clinic in Jember, East Java. 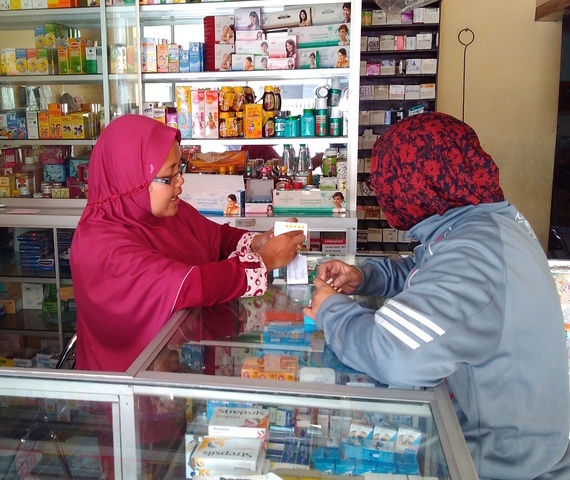 In 2014, this network of nearly 5,000 midwife clinics helped DKT Indonesia become the Number 1 contraceptive social marketing program in the world. If there was still any doubt about social marketing's ability to make a major contribution to family planning and HIV prevention, those doubts were dispelled in 2014, when 84 social marketing programs in 62 countries delivered 69 million couple years of protection (CYPs), according to the 2014 Contraceptive Social Marketing Statistics just published by DKT International. DKT says these 69 million CYPs represent an estimated 20% of all women using modern contraception in the developing world, excluding China. (A "couple year of protection" is the amount of contraception needed to protect one couple for one year). "These are remarkable numbers and a testament to the many organizations and individuals who strive to make a wide range of health products and services available to women around the world," said Chris Purdy, president and CEO of DKT International. The report provides details of these 84 contraceptive social marketing programs, all of which are helping provide modern contraception and reduce unmet need for family planning among women and families in their countries, largely through the private sector. With World AIDS Day 2015 on Dec. 1, it is a good time to remind ourselves of the important role played by condoms in HIV/AIDS prevention. In 2014, these social marketing programs sold and distributed 2.3 billion condoms, helping prevent HIV infections around the world. For World AIDS Day 2015, the AIDS community continues with the theme of "Getting to Zero" - meaning zero new HIV infections, zero discrimination and zero AIDS-related deaths. 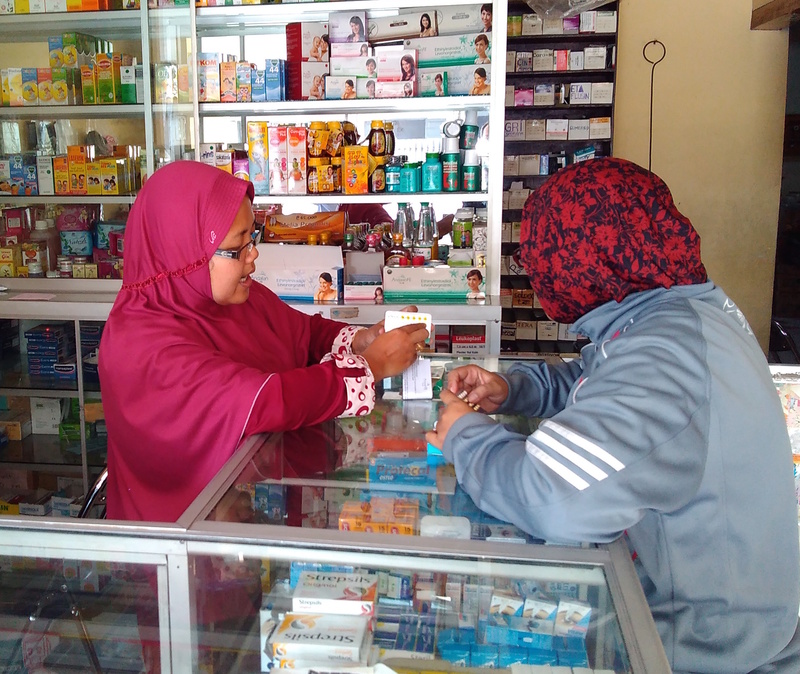 For the second consecutive year, DKT Indonesia delivered the most CYPs of any contraceptive social marketing program in world, 7.0 million, in the form of contraceptives provided through social marketing channels such as pharmacies, convenience stores, and midwife clinics. The second biggest program was the Social Marketing Company of Bangladesh, with 4.75 million. Together, the 84 programs sold and distributed 2.3 billion condoms, 200 million oral contraceptives, 32.9 million injectable contraceptives, 2.8 million intrauterine devices, 786,480 implants and 11.4 million misoprostol tablets. Four other programs would have made the Top 10 list in terms of absolute numbers of CYPs delivered but did not because they did not reach 9 percent of their target market, a threshold set by DKT for ranking the largest programs -- the Government of India with 6.0 million CYPs, DKT India with 4.1 million, Population Health Services India (a Marie Stopes International affiliate) with 3.5 million and Greenstar Social Marketing Pakistan (a PSI affiliate) with 2.3 million. The Indonesia program was started with donor funds in 1996, mainly from KfW (the German Development Bank) and is now 100 percent financially self-sufficient. In fact, in 2011, DKT Indonesia donated $1 million to start a new DKT social marketing program in Ghana, a country with very low contraceptive use and high maternal mortality. "In Indonesia we are very proud that our CYP footprint continues to expand, "said Todd Callahan, country representative of DKT Indonesia. "I am pleased with the competence we have on our senior team. To keep the program growing last year, we continued to emphasize choice and implement behavior change campaigns in the mass and social media." Callahan said the biggest gains came from investments in DKT's sales and distribution system, by hiring dozens of new sales people to support their distributors in the field. "This set in motion a virtuous cycle that should allow us to grow strongly into the future," he said. DKT Indonesia's 2020 goal is ten million CYPs. The Social Marketing Company of Bangladesh, the second biggest CYP producer, has come a long way in its 41 years of existence - from charity to a sustainable social marketing program. Originally founded and managed by PSI, SMC became independent of PSI and started receiving funds directly from the U.S. Agency for International Development in 1997. SMC now represents 34 percent of national contraceptive use and 60 percent of all oral rehydration salt (ORS) use, according to Ashfaq Rahman, the managing director and CEO of SMC. SMC has used a cross-subsidy model in which SMC Enterprise, a for-profit subsidiary, and some donor money help subsidize products and services priced for the poor, allowing SMC to become a social enterprise. Last year, Rahman said, SMC Enterprise generated a profit of $3 million after taxes. In 2004, SMC used its sales revenues to build an ORS factory in Bangladesh. Rahman said the most important factors contributing to SMC's success are the passion and desire among the employees for growth and sustainability and a long term vision and strategic plan. "In addition, the support provided by USAID especially in allowing SMC to invest revenue in growing the market for new, more profitable products and building the ORS plant was instrumental," said Rahman. "SMC's extensive national distribution reach, creative and powerful communication campaigns that built excellent corporate goodwill together with the support of the SMC Board all contributed meaningfully to SMC's success." Purdy believes social marketing will continue to contribute an increasing proportion to the FP2020 goal of reaching 120 million more women and girls with contraception by 2020. NOTE: For this report, DKT International calculates a couple year of protection as equivalent to 100 sold condoms, 200 free condoms, 14 pill cycles, four three-month injectables, six two-month injectables, 12 one-month injectables, 20 female condoms, 14 emergency contraceptives, 0.33 implants, 0.23 intrauterine devices, 0.59 doses of medical abortion, 0.0208 manual vacuum aspiration kits and 16 misoprostol pills.